Home / Blog / It’s our anniversary! As Love Invited celebrates it’s fifth anniversary, my gorgeous hubby Dave and I celebrated our 10th wedding anniversary this June. It was such a wonderful day, that even 10 years on it is still fresh in our minds. It was full of fun, laughter, friends and family and we loved every minute. So when the opportunity to establish Love Invited came up, I had to grab it with both hands and now I get to do weddingy stuff every day! Back on 2007 there certainly wasn’t as much choice or inspiration out there, which was probably a good thing! I often think there is so much out there that it is overwhelming. I am in the mind of keeping it simple and going with what you want, rather than what you think you should have. 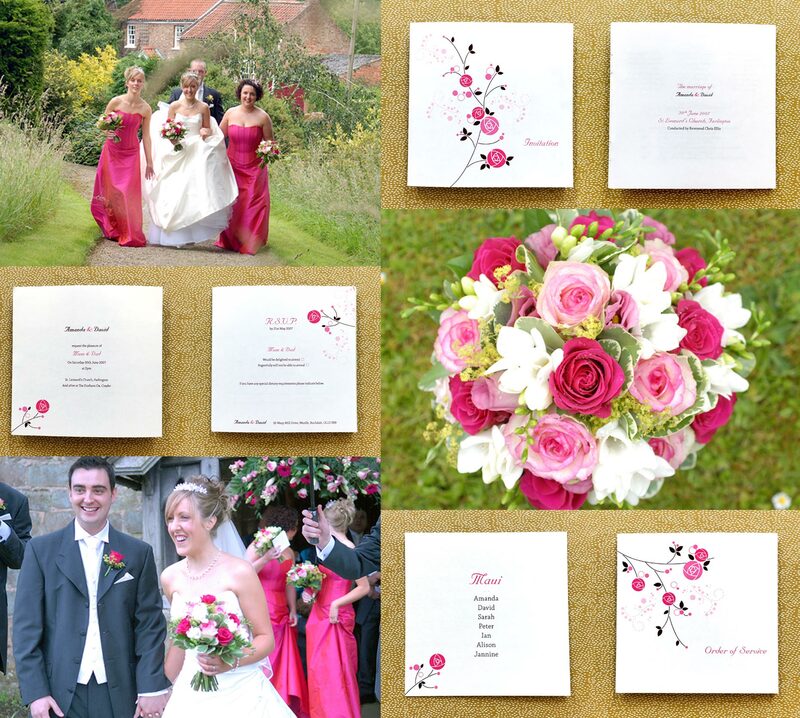 Here are a few pics from our day along with our own wedding stationery. 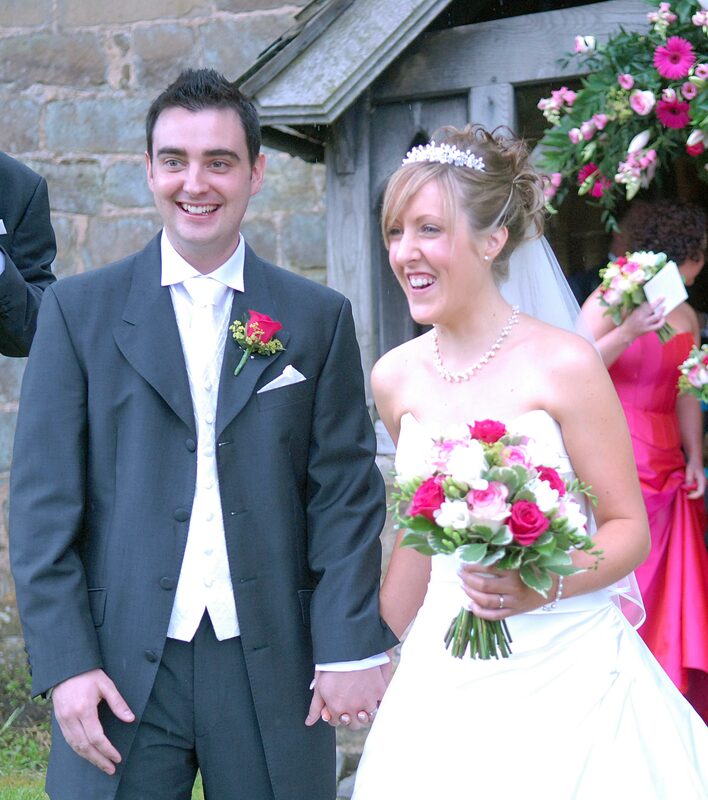 There wasn’t as much need to have a theme 10 years ago but looking back ours definitely had a floral country theme as we got married in the heart of the Yorkshire countryside. The colour scheme of ivory and tones of pink was only settled on when we went bridesmaid dress shopping ! Anyway take a look and see how we did it back in 2007!